Home Blog New sound effects: huge bundles, medieval clocks, moving water, and more! New sound effects: huge bundles, medieval clocks, moving water, and more! 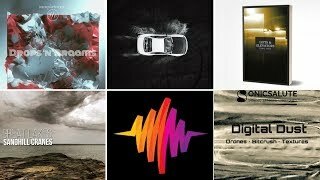 With 15 new sound libraries, we have lots of textures and ambiences to share with you, so you can get the right sound for your project. We have 3 bundles with thousands of tracks of ambiences, footsteps, and loopable elements, plus we have atmospheres of common public areas, winter parks, hospitals, pedestrian streets, and moving water. We also have sounds of wooden gears, spinning coins, analogue media devices loading, people chewing, washers as they spin and drain, packages being handled and torn, and tense cinematic textures that will make your heart stop. Happy listening! 'General Library - 44.1' by InspectorJ is a hand-picked variety collection of 1,000 designed sounds and field recordings covering numerous categories like ambiences, footsteps, animals, 8-bit, vehicles, and more. 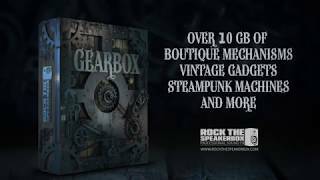 'Wooden Gear 192 Khz' by Lukás Tvrdon is a construction kit of rotating gear sounds with medieval astronomical clocks, fantasy inventions, and steampunk gizmos with lots of shafts, cogs, and sprockets. 'Diversity - General Sound FX Library' by The Sound Pack Tree is a comprehensive collection with 8,533 diverse sounds of animals, vehicles, clocks, doors, elevators, and more. 'Places' by Carma Studio gets you 111 ambiences of common public spaces, infrastructures, and events areas like restaurants, schools, traffic, hospitals, subways, and parks. 'Sack Of Coins' by Soundholder features 34 sounds of coins shaking in different containers, rolling and spinning, as well as sounds of handling, gathering, and touching. 'Loading Sounds' by Carma Studio is a collection of recordings of various VCRs, CDs, cassettes, and game consoles that are focused on how they play music or movies. 'Winter Parks' by Badlands Sound features 31 ambiences of parks in or near the city recorded during the winter months. 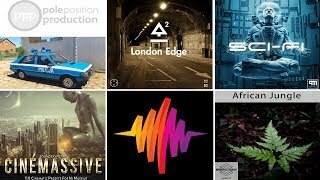 These sounds are 3 minutes long and are loopable to allow for easy editing. 'UI - Mechanical' by InspectorJ brings you 350 intricately designed user interface sounds with a mechanical aesthetic crafted from various machines, clockwork, buttons and switches alongside several other gadgets and tools. 'Packaging & Wrappers' by TheWorkRoom Audio Post contains a variety of modern day food packaging and wrappers with sounds of opening, closing, handling and tearing, perfect for close-up shots of food products. This library contains a wide variety of modern day food packaging and wrappers. It is a variation of opening, closing, handling and tearing. This library is perfect for those close up shots of food products that require that very specific material to make it authentic. The library was recorded using the Avedis MA5 Pre, along with the Shoeps CMIT5 microphone at 96Khz 24Bit. 'Eating' by TheWorkRoom Audio Post has sounds of various types of food being chewed with an open and closed mouth, from soft and squishy to hard and crunchy, like carrots, chocolate, sandwiches, toast, candy, and honeycomb. This library is designed for instances when chewing rocks is not what you are looking for. There are various types of food being chewed with open and closed mouth. From soft and squishy, to hard and crunchy. This library was recorded using the Shoeps CMIT5 and the Avedis MA5 pre. 'Sounds Of Nature: Moving Water - Cliffs And Caves' by FENNEC FX features the coasts of a small, quiet, desolate island with recordings from cliffs, rocky shores, and inside and near coastal caves. Recorded on the coasts of a small, quiet, desolate island. Near higher and lower cliffs and rocky shores. As well recordings inside and near coastal caves. Mostly lapping water, splashes and minimal waves. Highly usable for ocean-, sea- and lakeshores. As well for boats and open water. All recordings are clear and completely free from external noise and other human disruptions. This is why this library will be especially useful for historical productions as well as nature documentaries. For this recordings we simultaneously used three different microphone set-ups. A surround (5.0) set-up, a stereo set-up and an wide spaced AB stereo set-up, which also offers extended frequency response. A 2.0 mixdown of the surround recording is also provided. This brings you 4 variations of each recording. Within these variations the differences are sometimes subtle and sometimes more extreme. These different perspectives can provide flexibility for crosscutting within scenes. Get more than 9 hours of unique, royalty-free and especially high quality recordings with this library. 'Hospitals' by Edible Audio has atmospheres from all aspects of children's, private, and public hospitals. Locations include entrance halls, hallways, wards, wings, emergency departments, waiting rooms, and nurse stations. 'Washer' by PMSFX consists of a variety of detailed recordings of washers with sounds of water flow, the spin and drain cycles, etc., from an extremely close-mic'd, crisp AB setup and narrow XY and M/S setups. 'Pedestrian Streets' by West Wolf was recorded in late autumn and winter for minimal bird life. The task of this library was to capture much of the different dynamics of pedestrian streets: from zero activity to busy streets. 'Minacious' by MatiasMacSD has metallic movements, abnormal textures, dark pianos, vocals, atmospheric elements, and glitches to evoke the sensation that someone or something is hiding and watching you, ready to scare or kill.